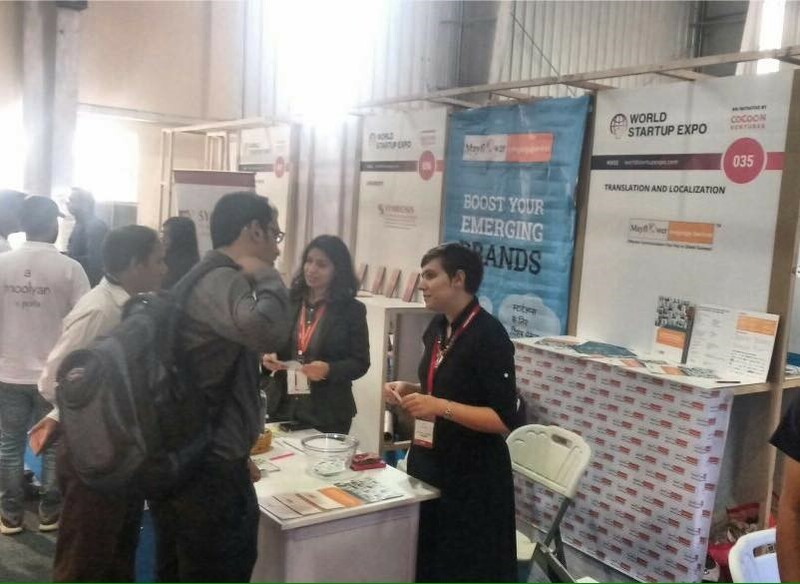 World Start-up expo 2016 was a three-day expo and conference, which proved to be an umbrella that brought together the entire start-up ecosystem under one roof. The start-ups of today, with their technological innovations, are bringing forth products fit for a global audience and Mayflower was present at the conference to help them reach out to that audience via translation and localization services. Forecasted to be Asia’s largest exposition for the start-up ecosystem, the arrangements at the World Start-up Expo were on a grand scale. From the venue, to the impressive speaker list, it brought together everything that today’s start-ups want and need. Mayflower exhibited at the event with the objective to educate and provide a channel to these rising firms to go global and glocal with customized linguistic packages. Most of the participants at the event were interested in taking their products to the global markets specially Middle East, Europe and Asia, while others were looking to tap in on the potential of the tier-2 cities in India by providing their services in local Indian languages. There also were many start-ups that were looking for services like translation, transcreation, localization and voiceover but were not aware of the service offerings available in Bangalore. Mayflower educated them on the different ways they could reach their target audience and what would be the ideal target regions specific to their product. The event also provided us with an opportunity to interact with interesting start-ups across verticals, which gave us an idea on where the start-up community is heading in India. Some of these included Snack Experts, Hello World, NavAlt, The Vault, the Co-Founder, Indrones and more. Mayflower also kept exhibitors and visitors engaged with a Raffle in which an exciting goodie bag was given away to a lucky visitor each day. Congratulations once again to the lucky winners from Zoylo who won twice! The event brought together many investors from the Middle East who were looking to invest in India, especially Bangalore. It provided interaction opportunities between these investors, the upcoming start-ups and some of the well-known VCs of our country. Start-ups were given the opportunity to not only showcase their products but also understand the expectations of the VCs. The two conference stages – “Main Conference” and “Expo” catered to multiple sessions, along with masterclasses. These sessions were not only interesting for the start-up community but also gave people an insight on how to engage with this community. The masterclass by Dr. Paritosh Basu, Senior Professor, NMIMS University, India, provided key takeaways on cost management and value creation that are relevant to both start-ups and corporates alike. Some of the other sessions that provided interesting insights on start-up sustenance, growth and smarter innovations were “Start-up Story” by Sarthak Paul, Founder & Director, Mean Metal Motors and the “Fireside Chat” by Matt Kuppers, Chief Executive Officer, Start-up Manufactory and Sandeep Aggarwal, Founder, ShopClues & Droom. “What sets this conference apart is that it provides evidence of the difference in the start-up eco system in Bangalore when compared to that of Sillicon Valley. From healthy snacks, apps, drones and augmented reality, med-tech devices, ecommerce, 3-d printing, consulting, genomics, IOT, Fintech and more, the event showcases the gamut of technological advancements we as a nation have.” said Anusha Sanghvi- Assistant Manager Marketing, Mayflower Language Services. Mayflower looks forward to the next edition of this event to help boost the glocal growth of the innovations of today.